Spend some quality time with the most notorious villain in the comic book world - the Joker! 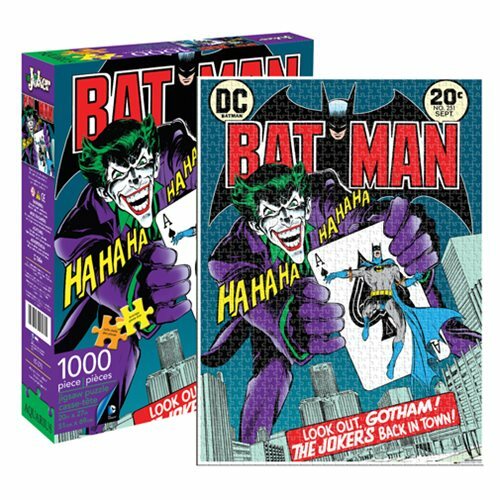 This incredible Batman Joker 1,000-Piece Puzzle measures 27-inches tall x 20-inches wide when completed. It replicates the sensational cover of Batman #251 and reads "Look Out, Gotham! The Joker's back in Town!" Ages 14 and up.